In this post you will find the sure 7 ways in how you can venture into tailoring business in Nigeria. This post will give you a guide on how to start writing a business plan for this kind of business. Going into this tailoring business is not bad idea, come to think of it many people wear clothes of different type, for events and purpose. This mean you have the client you need already if you are good at what you do. Because this people will differentiating come through. Gone are those days when people shy away for this kind of business in Nigeria, but not anymore. Believe me people are seriously making a living in this line of business and living comfortable. The tailoring business has grown such that it now has a refine name, "Fashion Designing". Most tailors are know now choose to be address in that regards. This to tell you how profitable this business is now. To tell you the truth, this business is one of the most lucrative business trending now. This lies to the locality where you find yourself. People of that community wears clothes, you see you have many customers that you are not exploring yet. Let me move away a little and tell you about a friend of my Paulyn Nath. She is a computer scientist who is venturing into this business already. Your guess is as good as mine, she is earning big from this tailoring business already. On her instagram page you will see the clothing her firm has made to her customers already. Am believing she will make one for me very soon(smiles). What am trying to point our here is that, you can venture into this business without necessary using your education certificate. Its a business for ALL. Now let move to the main topic, If you want to drive into this business below is the 7 ways you can start this tailoring business in Nigeria. Like a mention concerning my friend you do not need to have Bsc, PhDs, ND, or HND to start this business. But it advisable know how to attend to customers, how to react to them when there is a delay in delivery their clothes. A proper customer and worker relationship is needed. Yes, you need raw material, you need fabrics, thread, needles and various other things. You need to know where to get all this materials, where to buy and at a good rate. You can check the Lagos market or the Aba Ariaria market. Threads of different colors and Needles. with this items aforementioned, you are good to start this business to an extent. Where you set this kind of business is very important and should not be treated keenly. You should set this business where people can easily see your designs clothes. You should also consider where people mostly stay. An environment were people always want to wear something new. Event kind people, hope you understand. Before starting this business, you need to raise fund for this business. You need money to buy items, to rent a shop. With a good business plan you can get loan from the bank of industry, or relatives who see how serious you are and how productive this business can be. You can also get loan from cooperatives societies. Every business has it own body, so you should need to affirmed yourself with the FADAN( Fashion Designers Association of Nigeria). This is a body that is in charge of tailors and fashion designers in Nigeria. 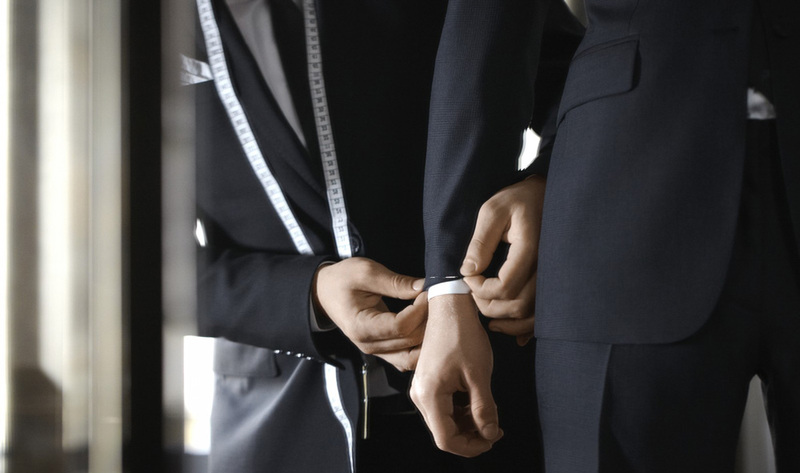 This help you in meeting other tailors and fashion designers and even learn from them. If you are this type of tailor that delay people job order, customers and potential customers will run from you. If you are not ready to keep to time you will lost not just your existing customers but the customers can you get via referral. Also if you are not this kind that believes in using social media to get more customers to business, you need to think again and again. Most online client hype your design more than those on your locality. This business has come from where you just showcase your design to only customers in your area where this business is located. You need to have a social media page like facebook, instagram and twitter, etc, where you can be uploading your designs to meet get more customers online. Believe me this one way tailor of recent get more clients to their business. They upload there designs and also tell their family members, friends and existing customers to share to their friends on this social media. The goal is just to get more clients. In conclusion, tailoring business has really improved in recent times, and customers keep patronizing this tailors. This business is open for everyone. The market is there already. Earning from this business is endless. If you are concerning in starting this tailoring business, remember you got this 7 tips from here. smiles. to seek for funds online where i lost $4,770 that i borrowed from friends to two different companies. Until i read about: georgeneggaguaranteloan@yahoo.com where i was granted a loan to pay up my debts and revive my business without stress. You can as well give them a text at: +1(507) 215 8801. or vist https://georgenegga.wixsite.com/guaranteeloan .